Speaking at the World Economic Forum in Davos, Ambani asserted that India is ready for fourth industrial revolution and technology innovations, especially with a strong leader like Prime Minister Narendra Modi, as has been proved by the success of the recent demonetisation move and the push for digital payments. India’s wealthiest man Mukesh Ambani on Tuesday termed successful demonetisation a sign that India is ready for fourth industrial revolution, under the leadership of PM Narendra Modi. 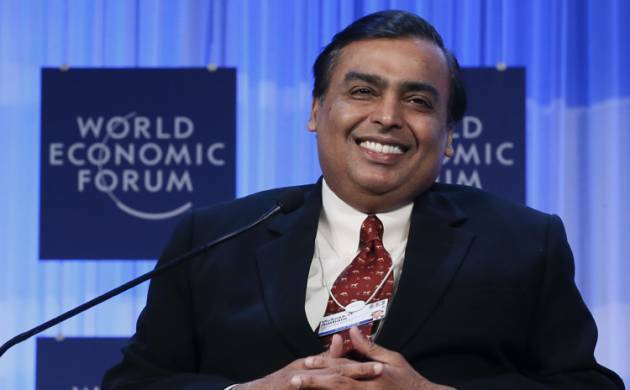 Speaking at the World Economic Forum in Davos, Ambani favoured free market economy and said wealth creation should not be constrained as it is a precursor to the distribution of wealth. He asserted that India is ready for fourth industrial revolution and technology innovations, especially with a strong leader like Prime Minister Narendra Modi, as has been proved by the success of the recent demonetisation move and the push for digital payments. Sharing the dais with him at a session on fourth industrial revolution here at WEF Annual Meeting, Infosys chief Vishal Sikka also said that demonetisation has shown to the world that Indians are ready to adopt new technology disruptions. “When we talk about fourth industrial revolution, artificial intelligence and other technology disruptions...we (need to be) very careful that we don’t create a bigger divide in the society,” Sikka said. When asked whether there was a risk of societal disturbances in India, Sikka said the country has tremendous opportunities as it is very technologically advanced and a young nation. Example of demonetisation shows that Indians can be adaptive to new things, he added. In reply to a similar question, Ambani said one needs to see in terms of how humanity progresses and how the society progresses. “At this time we are blessed with a very strong leadership with Prime Minister Narendra Modi. We are a very young country and education needs to transform itself and technology is the best way for that,” Ambani, Chairman of Reliance Industries, said. “For all of this you need a foundation and you need a country and a society to embrace technology. All the components of technology and in particular fourth industrial revolution technology, they are all inclusive,” he noted. Distribution of wealth is a much easier problem once you have created it, so you should not constrain creation of wealth, Ambani said while favouring free market economic model.